A Stormont committee chair is supposed to take off their political hat when they walk into the committee room. Instead the Sinn Fein chair turned the system on its head, in search of the scalp of the then leader of the DUP, by colluding with a witness. Sinn Fein were quick to distance themselves from Daithi McKay. Of course they were. They have an appalling record with regard to implausible denials: the Disappeared; the murders of Frank Kerr, Jerry McCabe, Paul Quinn; the Northern Bank robbery; the Colombia Three; the Florida gunrunning; it’s an endless list of knee-jerk denials. That’s why Martin McGuinness’s statement cannot be taken at face value. History is against Sinn Fein, and so is their culture of command and control – they are the last party you expect to see members on solo runs. The truth must be identified and exposed, not because I want to embarrass a political opponent. The truth is needed because what has happened is an attack on the very foundations of devolution and we need to understand how it happened and why, so we can take the necessary steps to ensure it never happens again. I have already written to the new chair of the finance committee, Emma Pengelly, to request she recalls her group as soon as possible. I support my colleague, Philip Smith, in calling for the Finance Minister Mairtin O Muilleoir to stand aside until the truth is known. After all, he sat on the committee that Jamie Bryson briefed. 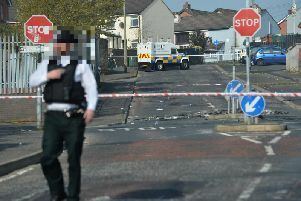 Other investigations will be needed and if the PSNI think there is any hint of a criminal act, they should not be slow to investigate. These revelations may be quite shocking but they are also deeply revealing of the nature of the relationship between the two parties who have led our Executive government for the last nine years. There is a fundamental inability to rise above party political interest and do what’s right for all the people of Northern Ireland. Once we have truth, we will need change. The workings of the statutory committees is deeper into disrepute as a result of this week.